Atlanta Public Schools wants your feedback to improve their emergency preparedness plans. They have posted a “Lessons Learned: APS Response to Storm Leon 2014” survey for all residents to fill out. Please take the time and answer these few questions to try and help avoid what happened with the recent storm. Decatur Old House Fair is this weekend! They’re offering a 50% off Groupon discount; just search for “Decatur Old House Fair” on Groupon’s site or visit their facebook page for the link! Recycle Your Old Electronics on Earth Day! Got old electronics? Who amongst us doesn’t as technology changes faster than you can say outdated-cellphone-laptop-tablet-gaming-system-dvd-player! Georgia Natural Gas, Midtown Alliance, Novare Group and Eplanet/Ewaste are sponsoring an Earth Day event on Friday, April 26th from 8am to 2pm. They are hosting an electronics recycling push in the Biltmore Courtyard at 817 West Peachtree Street, Atlanta, GA 30308. They will accept a variety of electronics and you can register to win an Apple iPad mini! Please visit their website, www.gasguy.com/earthday for more information, or email communityrelations@georgianaturalgas.com. The Center for Working Families, a local non-profit organization, was featured on Fox 5 Atlanta news this morning for their free tax preparation service for qualifying families with an adjusted gross income under $57,000. You can view the news story here. Please share this information with your neighbors! The Chattahoochee River Keeper and the Piedmont Park Conservancy are partnering for a Rain Barrel Workshop on Tuesday, January 15th. They are going to educate the community about the value of rainwater harvesting and how rain barrels are a great way to conserve water during times of drought (and anytime). Registration is $10 and includes one rain barrel, an installation kit and a presentation about Atlanta’s water needs and solutions. The workshop starts at 6pm and is held at the Community Center at Piedmont Park at 12th and Piedmont. You can learn more here – http://www.ucriverkeeper.org/rain-barrel-workshops.php. Tuesday, April 4th at 7pm is the next Adair Park Todsay monthly community meeting. We will have a special guest from Common Cause GA as well as a representative from the Carver YMCA. We will also have the Atlanta Police Department, City Council and other officials speaking. Topics for discussion are the upcoming Easter Egg Hunt, the Beltline cleanup, the historic homes regulation changes and upcoming meet-n-greets. Please grab a neighbor and join us to learn what is going on in your community. The meeting is held at the Kroc Community Center at 967 Dewey Street, just across Metropolitan from Adair Park. Park in the back, go to the door on the right hand side and hit the buzzer. Tell them you are with Adair Park, and they will let you in. Hope to see you there! For more information on Adair Park Today, please visit the Adair Park Today section of this website. The City of Atlanta residential weatherization program that has provided thousands of dollars in rebates for qualifying home energy efficiency improvements is encouraging Atlantahomeowners to take advantage of remaining rebate funds before March 31, 2012. SHINE – Sustainable Home Initiative in the New Economy – is a federally-funded program offering residential property owners the ability to get up to $3,500 towards air sealing, insulation improvement, weatherstripping, caulking, and the replacement of older, inefficient heating and cooling systems. Find out how you can qualify for SHINE at www.shineatlanta.com or email shine@atlantaga.gov for more information. Get out and Vote on March 6th! The Fulton County Department of Registration and Elections is preparing for the March 6 Presidential Preference Primary. Voters can participate by requesting an absentee ballot in the mail, participating in Advance voting or casting a ballot on March 6. Voters in Georgia do not have to provide a reason to vote prior to Election Day either by mail (absentee voting) or in person (advance voting). The deadline to request an absentee ballot for the Primary is Friday, March 2, 2012. Voters can call the Department of Registration and Elections at 404-612-7060 and request that an application for an absentee ballot be mailed, e-mailed or faxed to them. The ballot application can also be downloaded at www.fultoncountyga.gov. The Department recommends that voters request and return the absentee ballot application early so that they can receive, vote and return the ballot well before the deadline. The completed application can be dropped off, mailed or faxed to the County. The fax number is 404-730-8839. Voters may also scan the completed application and email it to Marcia.Ridley@fultoncountyga.gov. Absentee ballots must be completed and returned to the Fulton County Department of Registration and Elections by 7 p.m. on the day of the Primary, March 6. For more information on absentee voting, please call 404-612-7060. For more information, click here. 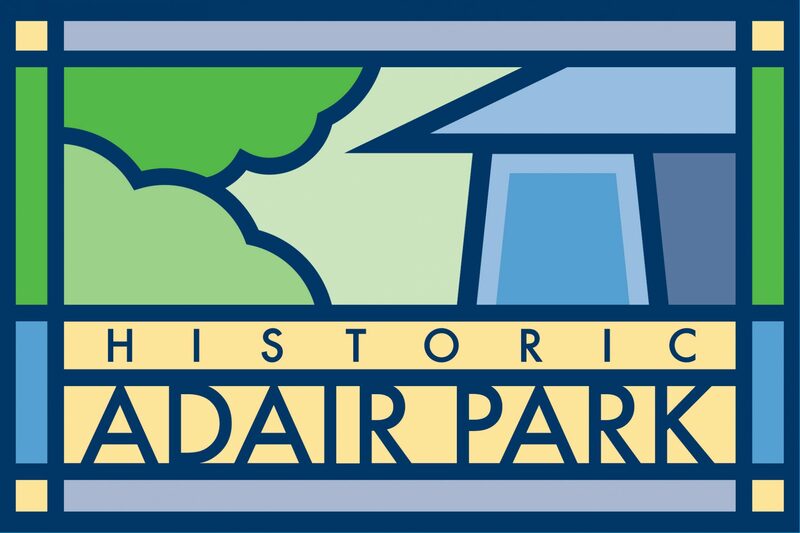 The City of Atlanta and the Urban Design Council want to update the historic district regulations that govern Adair Park. The feeling is that new version alleviates the city from a lot of the responsibilities, so we want to make some recommended edits. You can view the city’s version by clicking here. You can view the recommended changes by Adair Park here. If you have any questions or comments, please email code@adairpark.com or president@adairpark.com and we will get back to you shortly. On March 10, 2012, the Atlanta Police Department will conduct a four hour training program for safety awareness. This program will run from 9am-1pm and all participants will receive a certificate upon completion. A good neighborhood watch is a sign of a strong community. Many people don’t know what to do or how to participate, so a program like this can help. We have a Facebook page and a “text tree”, but are always open to new ideas. How To Build Your Community – Obtaining grants and resources. Refuse To Be A Victim – Safety tips & prevention. Crime Prevention Through Environmental Design – Sara Model, problem solving, reactive. You must RSVP by Friday, March 2nd to secure your place. Call 404-546-5550 or email sabthomas@atlantaga.gov to secure your spot.